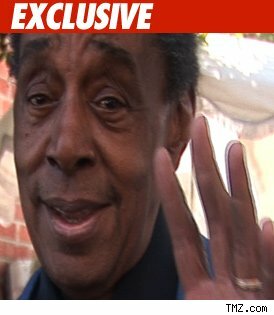 TMZ has learned Don Cornelius of "Soul Train" fame was arrested last night on felony domestic violence. It went down on Mulholland Drive in L.A. in the early evening. Someone called from Cornelius' home and LAPD responded to a "domestic dispute." After arriving on scene, they arrested 72-year-old Cornelius on charges of felony domestic violence. He was taken to the LAPD jail in Van Nuys where his bail was set at $50,000. He was released at 5 AM. Cornelius is married to Victoria although the identity of the victim has not been released. The victim was not taken to the hospital and injuries are unknown.